You CAN Learn Piano as an Adult with Online Piano Lessons from "The Piano Guy"
All you have to do is watch, listen, and play! The online classroom was designed to be so intuitive you’ll forget it’s there. It allows the instructor, Scott, to walk you through each lesson and exercise as he demonstrates different hand positions and techniques for you to mimic while explaining each concept. 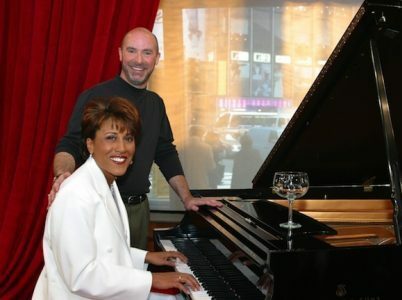 After 14 seasons of Scott’s Emmy award winning public television show “The Piano Guy” and countless live workshops, thousands have realized their dream of learning to have fun playing piano. This provides Scott with loads of experience and the ability to provide pinpoint personalized feedback to help you along. 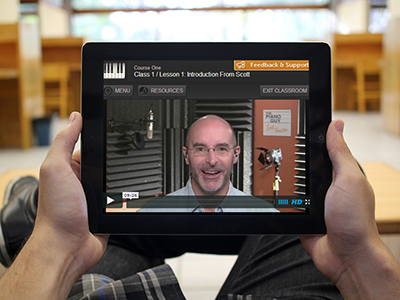 Every course is delivered in our innovative, online environment that comes with online instructional videos, real lesson books and feedback from Scott “The Piano Guy” Houston, should you ever have a question. Progress at your pace in our student-centric lesson environment with no stress whatsoever. Scott’s Piano in a Flash Online Method is ready whenever you are! Traditional piano lessons cost on average $30 per lesson and can involve additional time, cost and effort. 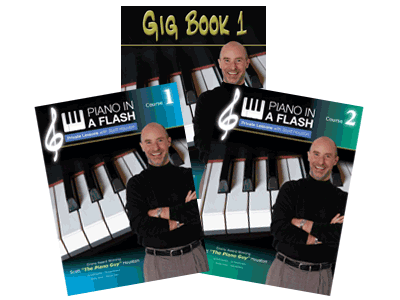 With Piano In A Flash you learn at your own speed and save both time and money. Avoid complicated scales and music theory. Scott teaches you fun songs by breaking down the piece into smaller exercises and focusing on each hand individually so you never feel overwhelmed.